Marantz 4140, Vintage Quadraphonic Integrated Amplifier, a page dedicated to this beautiful high fidelity Amplifier from Marantz Electronic. 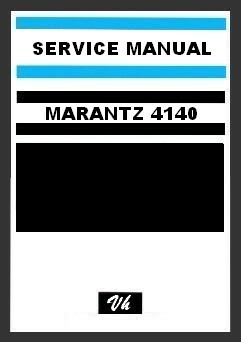 Exteriorly, the Marantz 4140 model is sleek and functional. The interior is even more wonderful. All the power you want to hold is at your disposal, you can use it in stereo, it will provide more than 70 Watts per channel. If you invert the Power Boost mode button to enjoy the quadraphonic effect, it will provide more than 25 Watts per channel. The "Vari-Matrix" Circuit and its dimension control are incorporated as well as the possibilities for future adaptation. The 4-channel balance control offers a variety of moves from the main listening area, where you want to listen. The appliance is equipped with numerous input and output sockets at the rear of the appliance, allowing the connection of: Occilloscope to 4 traçes, 2 recorders, pre-amplifier outputs and independent power amplifier inputs. The gold anodized front plate and bright black-bottomed dials have excellent contrast and give the 4140 an extremely sophisticated appearance.